A lot of people get custom wheels in COSTA MESA. When you do this yourself (over the internet . . .) you could run into trouble if you’re not careful. Sometimes, once they’re mounted, they just don’t fit right. The tires rub in turns or on bumps. You don’t want that. Consulting your Costa Mesa Auto Service Center tire professional can ensure you get the right fit. First he’ll ask you a series of questions about your COSTA MESA driving needs and what you want in your new wheels. Now, not every wheel can go on every car. Care must be taken so that tires and wheels are not too large or that the wheel is centered too far towards the outside or the inside so the tires rub. If you don’t want to make any modifications to your sedan, you would need to focus on the wheels that would fit. With trucks, some COSTA MESA people like much bigger tires so they need a suspension lift. Also, most COSTA MESA drivers don’t realize that you need to keep the rolling diameter of your new tires – that’s, like the overall height of the tire – very close to what came from the factory in order for your sedan anti-lock brakes and stability control systems to work properly. The computers that control these systems are calibrated to a certain size tire. When you go bigger or smaller, the computer doesn’t know what changes you made so it can’t tell how fast you’re going. This, of course, means it sends commands to the brakes and traction control that are based on the wrong speed. If you go with a different rolling diameter, your sedan engine control computer can be reprogrammed for the new tire size. Either way, there are hundreds of wheel and tire choices to choose from in CA. You can pick the style of wheel you want and then talk with your considerate Costa Mesa Auto Service Center tire professional about how big the wheel should be – and how to select the right tire for your sedan. Your Costa Mesa Auto Service Center service advisor will help you find the best tire to meet your style, performance, ride and handling needs in COSTA MESA. Have you noticed an increase in price when you get a flat fixed in COSTA MESA or your tires rotated? It might be the result of your TPMS, or Tire Pressure Monitoring System. Why the new requirement? Because underinflated tires are the number one cause of tire failure. Tire blowouts cause detrimental and sometimes fatal accidents. Underinflated tires also need longer stopping distance and can skid, both of which also present dangers on CA roads. Many flat tires can also be prevented by proper tire inflation, and though this may seem an economic consideration, COSTA MESA motorists who have changed a flat on the side of the road recognize that this has serious safety concerns as well. Advances in tire technology, specifically the development of radial tires has made it harder for COSTA MESA car owners to recognize when a tire is underinflated. At a recommended pressure of 35 psi, a tire is seriously underinflated at 26 psi. But the tire doesn’t look low on air until it reaches 20 psi. This raises concerns about vehicle owners being able to tell when their sedans are a safety hazard on the road. Hence, the TPMS. So, like seatbelts, the essential TPMS system is expected to save a lot of lives. The technology has been in use in race cars for years, and now it’s being mandated for all passenger cars, SUV’s, mini-vans and pick-ups. Besides warning COSTA MESA motorists when their tires need air, the system is required to indicate when it is malfunctioning. This increased safety won’t come without increased costs to COSTA MESA motorists. Estimates regarding the cost of maintaining the TPMS on your vehicle run from $27 to $100. Also, there will be an added cost for tire repair. COSTA MESA service centers have had to purchase new scanning equipment to work with TPMS sensors and other vital equipment to repair tires and wheels equipped with TPMS. Costa Mesa Auto Service Center techs have to be trained to use the new equipment. These costs will have to be passed on to COSTA MESA car owners. Further, whenever a tire is changed, the Costa Mesa Auto Service Center service professional will have to deal with the TPMS. Sensors will have to removed, then re-installed and re-activated. Sometimes the act of changing a tire will damage a sensor, and it will need to be replaced. These extra services will come at an added charge to COSTA MESA car owners. So, if you’ve noticed an increase in the cost for car care at your COSTA MESA tire center, it may not be the economy. It could be the cost of the TPMS in newer vehicles. Before you dash off an angry letter to Congress, however, stop and consider what you’re paying for. If predictions are correct, the TPMS will save lives, and that will be a benefit to all of us. Of course, no warning system will save lives in COSTA MESA if drivers don’t pay attention to it. And remember that the warning doesn’t come on until the tire is severely under inflated – you still should check your tire pressure at least once a month. COSTA MESA car owners can prevent accidents and potentially save lives without a warning system by keeping their tires properly inflated. Everyone in COSTA MESA CA eventually replaces their tires, whether it’s because they’re worn out or they’re just looking for something different. There are so many great tire choices in COSTA MESA CA, it can be difficult to sort them out. Let’s group the broad spectrum into several categories that will help in the selection process. One category is often referred to as “summer tires”. Summer tires are designed to be driven on the road when temperatures are generally above 45 degrees. Their tread design is optimized for traction on dry roads in COSTA MESA CA and they’re also able to effectively displace water on rainy roads. Now the rubber compound gets a little hard and stiff as temperatures drop below 45 degrees as it occasionally does here in COSTA MESA CA. And the tread which handles dry roads so well, can get packed with snow or mud – which provides very little traction in those conditions. Summer tires can be purchased with an emphasis on handling performance, smooth ride or long life. Your COSTA MESA CA tire professional at Costa Mesa Auto Service Center can help you find the right tire for the way you drive. For many people, an all-season tire is the answer. You will give up some of the performance at the extreme ends of the summer tire/ winter tire spectrum, but you will find a long wearing tire that gives both good highway performance and winter traction on our COSTA MESA CA roads. Outside of these three main categories, some people in COSTA MESA with trucks and SUVs like a tire that is designed for both on-highway and off-highway use. They can handle the rocks and bumps off-road, but still work well on the street. Again, many options depending on the relative emphasis on on-road verses off-road. When winter approaches in CA, COSTA MESA car owners break out the sweaters, coats, boots and mittens. We want to be ready for Irvine area winter conditions. Your sedan needs to be ready for winter as well. The last thing COSTA MESA drivers want is to get stranded out in the cold. You need your sedan to be safe and reliable. It’s a good idea to get caught up on any neglected maintenance items anytime – but the stakes are higher in cold CA winters. There are some specific things COSTA MESA car owners we need to do to have their vehicle ready for winter. The most obvious is having the antifreeze checked. If the antifreeze level is too low, it can’t properly protect your engine, radiator and hoses from freezing. If your car does not seem to be making enough heat to keep you warm, your antifreeze level may be low or you could have a thermostat problem. Get it checked out at Costa Mesa Auto Service Center in COSTA MESA. If you are due for a cooling system service, now is a perfect time to have it done. In the cold months around COSTA MESA we always worry about being able to stop in time when it’s slick out. The first thing to remember is to slow down and allow yourself plenty of room to stop. Of course, you want your brakes to be working properly. A thorough brake inspection will reveal if the pads or any other parts need replacing. Check with your considerate Costa Mesa Auto Service Center service professional to see if it is time to replace your brake fluid. It accumulates water over time which really messes with your stopping power. It is also a really good idea for COSTA MESA motorists to have their battery tested. A battery’s cranking power really drops with the temperature. If your battery is weak in the fall, it may not be up to a CA drivers. There is nothing like a dead battery in a snow storm. Winter in COSTA MESA, CA always makes motorists think of their windshield wiper blades – usually during that first storm when they aren’t working right. That’s why it’s a really good idea to replace your blades in the fall before the CA winter storms. If you live where there’s a lot of snow and ice, you might want a special winter blade that resists freezing up. And be sure to have enough windshield washer fluid. The final thing for COSTA MESA auto owners to consider is their tires. Any tire can lose pressure over time – up to one pound every six or eight weeks. For every 10 degrees the temperature drops you lose another pound of pressure. So if it was 80 degrees outside when you checked your tire pressure two months ago and now it’s 40 degrees out, you could be down 5 pounds of pressure. That’s enough to be a real safety issue and it hurts gas mileage too. You may need special winter tires in COSTA MESA as well. Your considerate Costa Mesa Auto Service Center tire professional can help you find the right tire design for your expected road conditions. This is a a critical safety measure recommended by tire manufacturers. Sliding or fish-tailing on ice and snow on CA s is a matter of not having enough traction at the rear end. That is why your newest tires should always be on the rear. It seems like everywhere you go in the Irvine area you see custom wheels. Big trucks, little cars, mini-vans – it doesn’t matter, auto owners are expressing themselves with custom wheels. Some CA car owners want smaller tires and wheels – some want larger – and some want them enormous. So where do you start if you want new wheels? At Costa Mesa Auto Service Center, we suggest you start with your budget. We know, that sounds so practical. But if the look you’re after goes beyond just new tires and wheels and enters into the world of suspension modifications, you need to be prepared for the additional cost. Let’s start with something easy – you want to give your ride a unique look and the stock wheel size is just right for you. One of the concerns you will have is that the new wheels have the same offset as your sedan factory wheels. First, what is offset? The wheel bolts onto the hub on the sedan’s axle. The distance from the inside edge of the wheel to the point at which it bolts on, is the offset. If the new wheel has a different offset from the factory, the tires may rub on the inside or outside of the wheel well. That could lead to catastrophic and (costly) tire failure. Your tire and wheel professional at Costa Mesa Auto Service Center in COSTA MESA can help you find the right size wheel – or install adapters to make your new wheels fit. All you have to do is pick from the hundreds of styles available. So, what about COSTA MESA auto owners who want to upsize? Well, if you pick bigger wheels, but you want to keep the same overall tire diameter, that’s pretty easy for the team at Costa Mesa Auto Service Center. The same offset concerns apply. You need to know that the tires will likely be a little bit wider than the originals and you don’t want them to rub when you make sharp turns. Your tire professional at Costa Mesa Auto Service Center in COSTA MESA will help you avoid this. COSTA MESA drivers who want to upsize should also be aware of possible performance issues. Bigger tires and wheels weigh more. CA automotive experts refer to this as unsprung weight because it isn’t held up by your sedan suspension system. Increased unsprung weight affects performance in different ways than an equivalent amount of groceries or little soccer players in the sedan passenger compartment. Acceleration is negatively affected. Stopping distances may also be increased – sometimes significantly. COSTA MESA auto owners who want really big tires and wheels, might need to upgrade their brakes to compensate. Heading the other direction, some motorists in the Irvine area like to run smaller than standard wheels and lower the suspension. All of the same fitment issues still apply as well as calibration issues. Don’t think that sedan suspension modifications are a bad thing. Many systems actually improve ride, function and performance over the stock set-up. Regardless of your budget, you want your sedan to continue to do all the things you need it to do. Some of those show cars and trucks you see on TV and COSTA MESA showrooms look terrific, but have been modified in ways that may not suit your needs. For example, if you put large rims on your SUV with low profile tires, you may be in for busted rims if you go off-roading a lot around Irvine. There just isn’t enough sidewall to absorb the impact of thumping over rocks. Some drivers stuff the largest tires and wheels possible in their vehicles but have to severely restrict suspension travel so that the tires aren’t rubbing all day. That can lead to a very harsh ride around CA. Again, talk with your Costa Mesa Auto Service Center wheel professional about all of these things: how you drive in COSTA MESA, what look you are going for, your budget and what compromises you are willing to make. At the end of the day, you’re going to be rollin’ out of Costa Mesa Auto Service Center with one sweet ride. Most COSTA MESA motorists have experienced a flat tire. You know it’s inconvenient and a pain. Our tires are important. Keeping them in good working order isn’t just a big safety issue for CA drivers – it also has a financial impact. With high COSTA MESA gas prices, we’ve all heard about the importance of keeping proper tire pressure to get the best possible fuel efficiency. In addition, proper inflation promotes even tread wear so your tires last longer. There’s another danger to under-inflated tires for COSTA MESA motorists. Low tire pressure puts added stress on the structure of the tire itself, causing it to break down prematurely. Also, under-inflated tires generate more heat which also reduces tire life. So get those slow leaks fixed quickly – don’t just keep airing them up every few days. 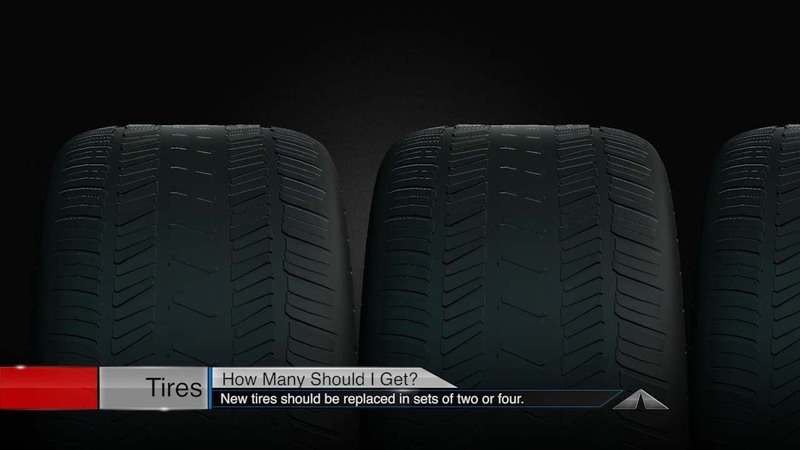 You want to avoid costly tire damage. Tires can also be damaged by road hazards in and around COSTA MESA. Punctures, cuts and unfortunate encounters with curbs or potholes can also cause damage that could lead to tire failure. Sometimes, it’s something that an inspection would reveal. Try to remember to check your tires when you’re pumping fuel. Look for slashes, missing chunks, nails or screws in the tread or just uneven wear. Of course check the air pressure too. Now tire damage can be on the inside where COSTA MESA auto owners can’t see it until it’s removed from the wheel. Such damage could come from a severe impact, driving on a flat around Irvine or even just low pressure. Some punctures can cause internal damage that is too extreme to be repaired. You may see our Costa Mesa Auto Service Center tire professionals take the time to remove your flat from the rim and inspect the inside before repairing it, which means we’re just following best practices. Of course, some tires just can’t be repaired at your COSTA MESA service center or Costa Mesa Auto Service Center. A puncture may be too large to plug. Also, the puncture could be in a location that’s not safe to repair like in the sidewall or outer portion of the tread. So called run-flat tires should not be repaired because their design is such that internal damage can’t be detected by a visual inspection by your considerate Costa Mesa Auto Service Center service specialist. COSTA MESA drivers should only hire qualified tire professionals to perform repairs – we have a whole team of them at Costa Mesa Auto Service Center. Irvine folks can buy self repair kits, but we advise you to save those for emergencies, like when you’re off-roading and need a quick fix so you can hobble back to COSTA MESA civilization and get professional help. If you need to use a repair-in-a-can product, remember it’s a temporary measure only and your tire needs to be properly repaired as soon as possible. Here are some other considerations: A DIY flat repair may void your tire manufacturer’s warranty – just something to keep in mind. Also, if you repair a speed rated tire, you should not use it in any motorsports or operate it above legal speed limits. Your considerate Costa Mesa Auto Service Center tire specialist will repair your tire whenever it’s safe to do so and he’ll advise you when it’s better to replace it. So watch those curbs and keep the air – on the inside. At Costa Mesa Auto Service Center we install quality NAPA replacement parts. Our vehicles are not massage chairs. While we may enjoy a good vibration in an overstuffed recliner, us COSTA MESA drivers generally want as smooth a ride as possible in our vehicles. One way to achieve this is to keep a vehicle’s wheels in balance. When a tire is mounted onto a wheel, it is usually out of balance. This means that as the wheel spins, there is a slight wobble to the path of the tire. For best handling performance and safety on the road, COSTA MESA car owners want to minimize this wobble as much as possible. So we balance our tires. To balance a tire, your considerate Costa Mesa Auto Service Center service specialist spins it on a machine or drum to determine where it is off-balance. He then attaches weights that counter-balance the uneven weight. Most COSTA MESA auto owners are surprised at how much balancing improves the smoothness of their ride. High-quality tires generally hold their balance well. But over time, wear and tear take their toll and tires can become unbalanced. COSTA MESA car owners can tell when a front tire is unbalanced if they feel a vibration in the steering wheel. If a back tire is unbalanced, you’ll feel a vibration in your seat. You may not notice these vibrations until they get fairly serious — or until someone else drives your sedan — because they usually develop slowly. If a vibration starts abruptly, it usually means you’ve lost a balancing weight. The average tire rotates at about 850 revolutions per minute at 60 mph. When a tire is out of balance, it actually hops down the expressway, rather than rolling. So at 60 mph it is slamming into the pavement 14 times a second. That’s what creates the detrimental vibration. When COSTA MESA motorists’ tires are out of balance, they wear out more quickly. The lack of balance also causes extra wear on shocks, struts, steering components and important suspension parts. Getting a balance job at Costa Mesa Auto Service Center in COSTA MESA can prevent pricey repair bills and even an accident. It will improve the safety of your sedan as well as its handling performance, and it will improve your gas mileage. When you change your rims or get a flat repaired at Costa Mesa Auto Service Center, you’ll need to get your tires balanced as well. When you rotate your tires, you may want to have them balanced as well. Some COSTA MESA vehicle owners, however, only balance their wheels every other rotation. You can check your owner’s manual to see what the recommends for your sedan. Balancing your tires is part of essential preventive maintenance. It keeps your vehicle in good repair and prevents damage to many of its components, including some expensive ones. So practice good car care and make it a point to keep your tires balanced. It’s quality auto advice from Costa Mesa Auto Service Center. Massages chairs may vibrate away our worries, but unbalanced tires will just rattle COSTA MESA drivers’ nerves. The Feds don’t have any laws for tread depth, but 42 of the states, and all of Canada, do have regulations. They consider two-thirty-seconds of an inch to be the minimum legal tread depth. Two other states, including California, consider one-thirty-second to be the minimum and six states have no standards at all. Call us at Costa Mesa Auto Service Center; (just call 949.645.7878) to find out what your requirements are in the COSTA MESA, CA area. Since 1968, U.S. law has required that a raised bar be molded across all tires. When tires are worn enough that this bar becomes visible, there’s just 2/32” of tread left. But does that older standard give COSTA MESA car owners enough safety? We tend to think of the brakes doing all the stopping, but COSTA MESA car owners also need to have effective tires to actually stop the car. When it’s wet or snowy in COSTA MESA CA, the tread of the tire is critical to stopping power. Picture this: you’re driving in COSTA MESA over a water-covered stretch of road. Your tires actually need to be in contact with the road in order to stop. That means the tire has to channel the water away so the tire is actually contacting the road and not floating on a thin film of water – a harmful condition known as hydroplaning. When there’s not enough tread depth on a tire, it can’t move the water out of the way and you start to hydroplane. This is where the studies come in. We think COSTA MESA auto owners will be surprised. A section of a test track was flooded with a thin layer of water. If you laid a dime flat on the track, the water would be deep enough to surround the coin, but not enough to submerge it. Now without going into all the details, let us tell you that stopping the truck with worn tires needed almost 1/10 of a mile of clear road ahead to come to a safe stop. How many COSTA MESA drivers follow that far behind the sedan ahead? Obviously, this is an important safety issue. How do COSTA MESA auto owners know when their tires are at 4/32”? Well, it’s pretty easy. Just insert a quarter into the tread. Put it in upside down. If the tread doesn’t cover George Washington’s hairline, it’s time to replace your tires. With a Canadian quarter, the tread should cover the numbers in the year stamp. Tires are a big ticket item and most drivers in COSTA MESA, CA want to get thousands of miles out of them. Just remember: driving on bald tires is like playing roulette. Have Mr. Washington look at your tires today. If he recommends a new set, come see us at Costa Mesa Auto Service Center in COSTA MESA.